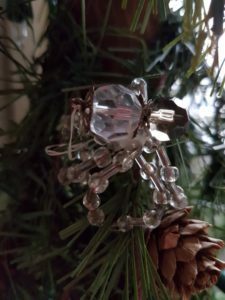 Tinsel, Christmas Trees and Folklore! Do you ever wonder where the tradition of tinsel on the Christmas came from? I had never really thought about it until I was travelling in the Ukraine and later in Germany where I came across a similar legend. The Christmas season is the perfect time to share my discovery. In the Ukraine the legend tells of a very poor but hardworking widow who lived in a small hut with her children. One summer day, a pine cone fell on the earthen floor of the hut and took root. The widow’s children cared for the tree, excited at the prospect of having a Christmas tree by winter. The tree grew, but alas, when Christmas Eve arrived, they could not afford to decorate it. The children sad and sobbing went to bed and quickly fell asleep. Hearing their overwhelming sadness, spiders quickly went to work weaving cobwebs over the entire tree. The next morning, when the widow opened the windows the first rays of sunlight touched the webs turning them gold and silver. The widow and her children were overjoyed and filled with gratitude. Today Christmas trees in the Ukraine are decorated with spiders and cobwebs. The tale in Germany, while slightly different also shares the magic of the season. A mother was busily cleaning for Christmas. The spiders fled upstairs to the attic to escape the broom. When the house became quiet the spiders slowly crept downstairs for a peek. Oh what a beautiful tree! In their excitement they scurried up the trunk and along each branch. They were filled with happiness as they climbed among the glittering beauty. By the time they were through climbing the tree it was completely shrouded in their dusty grey spider webs. When Santa Claus came with the gifts for the children and saw the tree covered in spider webs, he smiled as he saw how happy the spiders were, but knew how heartbroken the mother would be if she saw the tree covered with dusty webs, so he turned the webs to silver. The tree sparkled and shimmered and was even more beautiful than before. 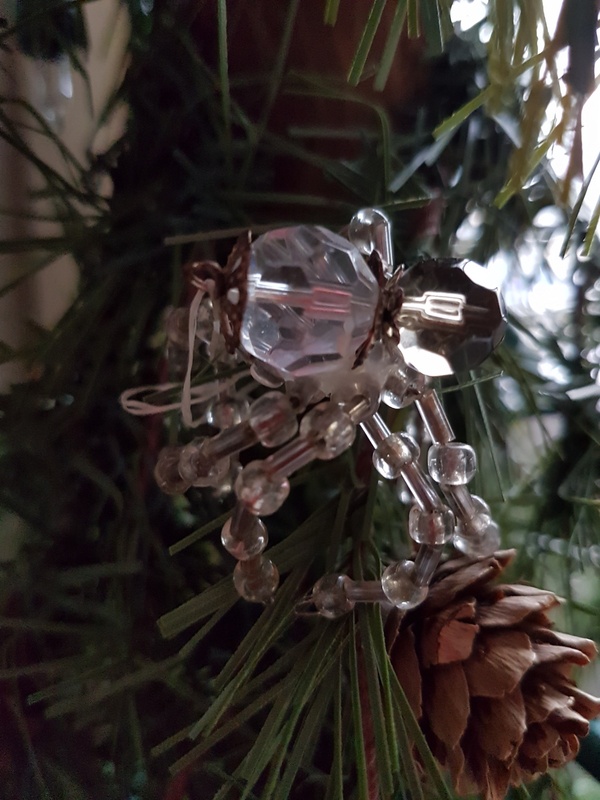 The Christmas Spider – A new tradition in our home! Travelling the world has been such a privilege and exposed me to so many cultures and traditions that after hearing these two stories I decided to start a new tradition in our home. A few years ago we started hiding a spider in our Christmas tree. Whenever we have guests during the Christmas season we encourage them to see if they can find the spider. The person who spots it first is rewarded with a gift. This has provided us with many moments of fun as well as encouraging the sharing of everyone’s family traditions, where they came from and what they mean to them. I wish a Merry Christmas filled with family, friends and traditions to all. This Year Will Be Different. One Resolution. A Multitude of Goals Accomplished!